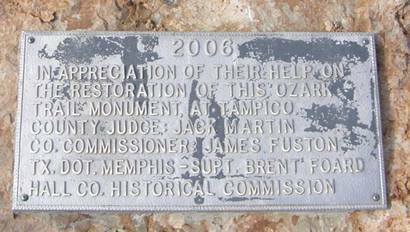 Tampico, Texas on The Ozark Trail. 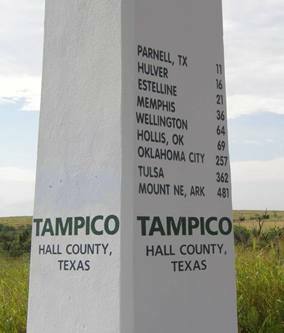 Tampico was on the Fort Worth and Denver Railroad and was named after the coastal Mexican capital city of Tamaulipas state, Mexico. 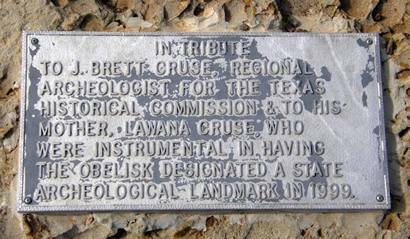 Drillers in 1929 were hoping the appropriated name would bring in an equally rich oil field. 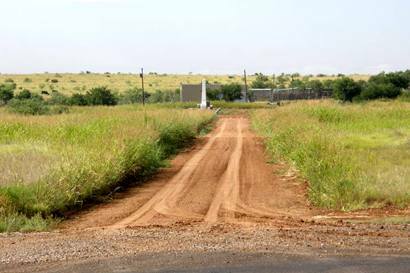 After drilling ceased, the population dwindled to only 25 persons, and one lone business. By the mid-1960s there were still 12 diehard residents, but no statistics are available after that. In 1913, William Hope "Coin" Harvey, who operated a resort in the Ozark Mountains of Arkansas, founded the Ozark Trail Association as a private highway organization. 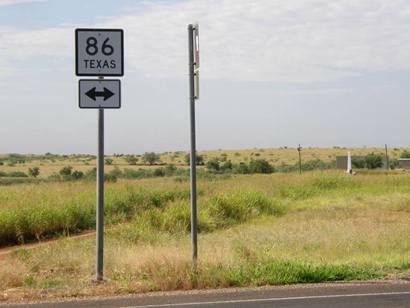 Several Texas and New Mexico counties joined the effort, and the line went diagonally from St. Louis, Missouri to Santa Fe, New Mexico. 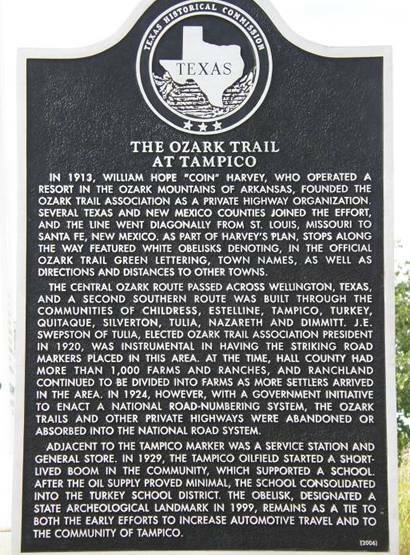 As part of Harvey's plan, stops along the way featured white obelisks denoting, in the official Ozark Trail green lettering, town names, as well as directions and distances to other towns. 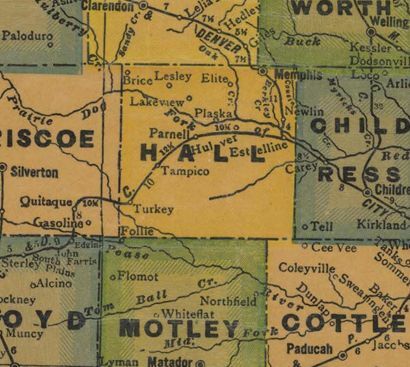 The central Ozark route passed across Wellington, Texas, and a second southern route was built through the communities of Childress, Estelline, Tampico, Turkey, Quitaque, Silverton, Tulia, Nazareth and Dimmitt. J.E. 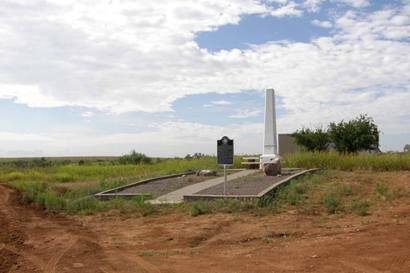 Swepston of Tulia, elected Ozark Trail Association president in 1920, was instrumental in having the striking road markers placed in this area. At the time, Hall County had more than 1,000 farms and ranches, and ranchland continued to be divided into farms as more settlers arrived in the area. In 1924, however, with a government initiative to enact a national road-numbering system, the Ozark Trails and other private highways were abandoned or absorbed into the national road system. 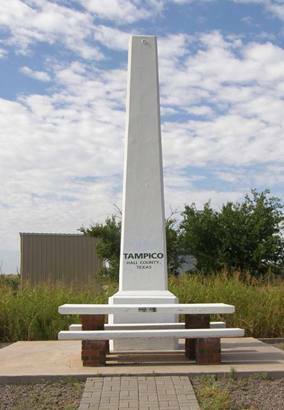 Adjacent to the Tampico marker was a service station and general store. 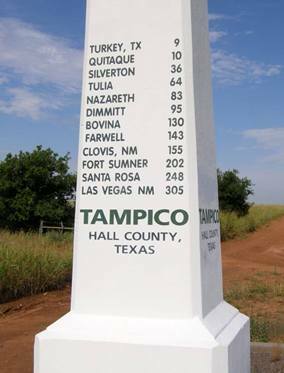 In 1929, the Tampico oilfield started a short-lived boom in the community, which supported a school. After the oil supply proved minimal, the school consolidated into the Turkey school district. The obelisk, designated a State Archeological Landmark in 1999, remains as a tie to both the early efforts to increase automotive travel and to the community of Tampico.